Dubai is one of the world's most exciting new travel destinations. Lying on the blue waters of the southern Arabian Gulf, Dubai is also called "Pearl of the Gulf." DUBAI, UAE — Dubai's popularity as a year-round destination-of-choice for business and leisure got another seal of global approval after a survey by the American Express placed the emirate among the top 10 long-haul holiday destinations for the tourists from the United Kingdom, Manager Media Relations Eyad Ali Abdul Rahman of Department of Tourism and Commerce Marketing of Dubai said. In fact, Dubai improved its popularity ranking in 2004 by climbing three more positions to be the fourth most-favored long-haul holiday hotspot. The American Express is a diversified worldwide travel, financial and network services organization founded in 1850. The trend survey has been conducted by the American Express Travel offices to evaluate the traveling patterns of the British tourists in the coming winter season. Dubai is the only destination in the Middle East and North Africa region to be featured on the top 10 list. "Dubai has remained a sought-after destination for the UK tourists over the years, but the survey results give us assurance that our aggressive marketing and promotional drive in this crucial source market is steaming ahead well," Ali Abdul Rahman said. The survey noted that destinations with a reputation as being both affordable and good value are definitely scoring over those perceived as expensive. 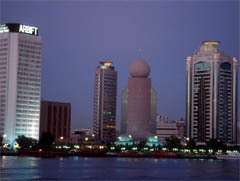 It noted that despite the war over Iraq, Dubai has soared in popularity after heavy promotional campaigns. The location of some of the best hotels and beaches in the world has seen the American Express customers giving their strong preference for Dubai for the far-off holidays. Dubai's world-class infrastructure, high standards of living, inspiring safety and security levels, year-round sunshine and pristine beaches have been a big hit with the UK visitors over the year. The number of tour operators in the UK promoting Dubai has also gone up by more than 72 percent. Dubai, the City of Gold, is one of the world's most exciting new travel destinations. Lying on the blue waters of the southern Arabian Gulf, Dubai is also called "Pearl of the Gulf." "The City of Merchants" offers visitors year-round sunshine and five-star luxury plus the adventure of a unique Arabian experience. 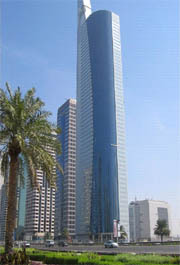 Hotel establishments in Dubai played host to a total 458,451 UK guests in 2003, 3 percent more than the previous year. Regional tourism leaders set agenda for investment conference. Fifty of the region's tourism leaders have participated in an online debate to discuss the future of tourism in the region and the drive to encourage inward investment as the advisory board sets content for the first Arabian Hotel Investment Conference, to be held in Dubai in April 2005. Mr. Min Byung-Il serves as editorial director and senior writer for The Seoul Times. He was former managing editor and executive director of the Korea Herald. 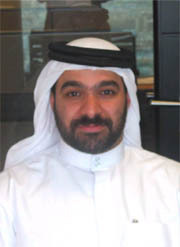 Min is also serving as correspondent for Emirates News Agency (WAM) of the United Arab Emirates and web editor for ArabAfrica.Net.